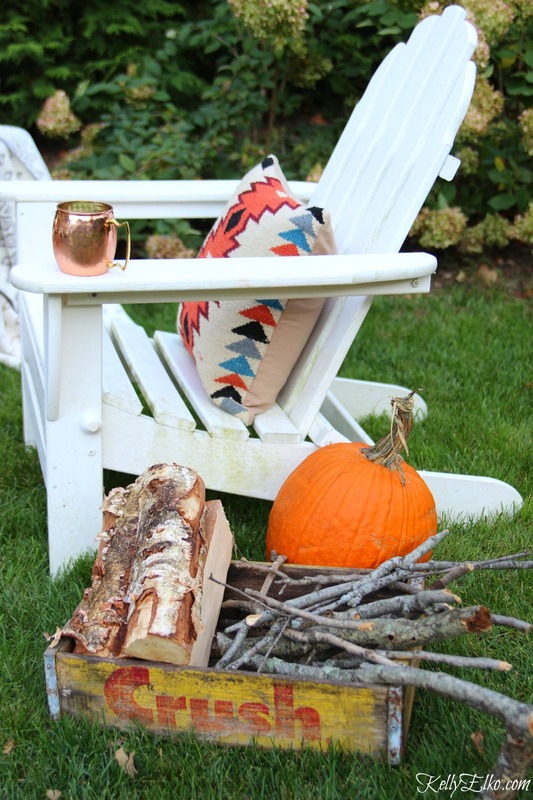 How to create a cozy fall backyard with a smores party complete with fire pit, seating and cozy throws and pillows. I love hanging out in my backyard during every season. No need to run inside when the weather cools off. 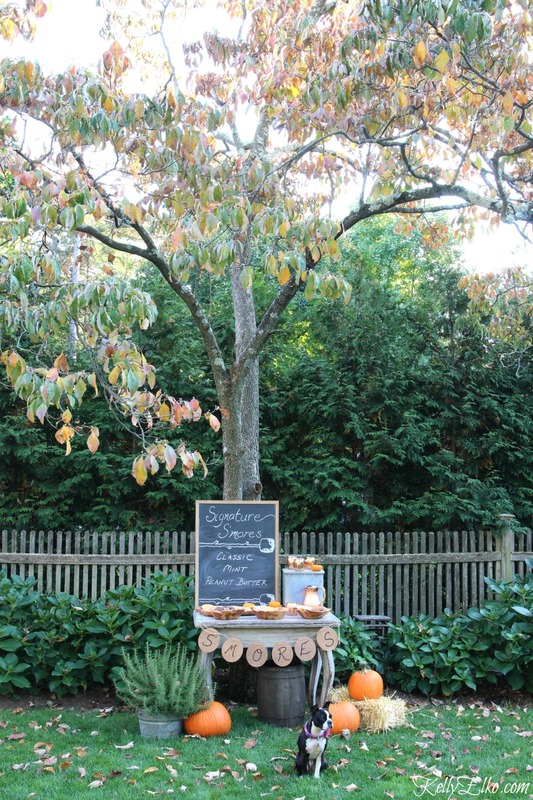 I’ve mixed vintage finds, boho accents and classic outdoor furniture with the world’s cutest s’mores station to give my yard an inviting feel. What are you waiting for? 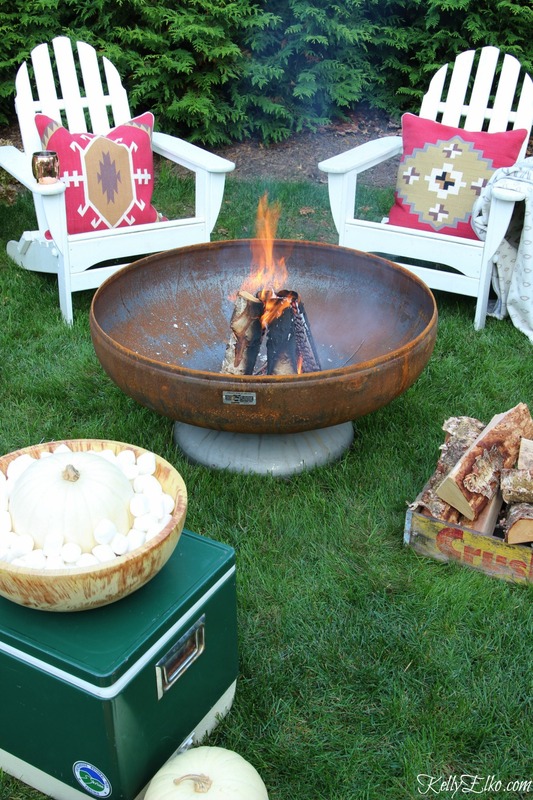 Grab a seat an apple cider and a marshmallow for roasting (full source list at end of post). My girls have been begging me for a fire pit for years so when I found the perfect fire pit HERE, I was excited to build a fun hang out spot around it. The fire pit is already getting tons of use and I love the fact that I can leave it out all year long as it develops a beautiful patina and it’s guaranteed never to rot. It comes in a few sizes too – I got the 36″ one. My nature girl daughter is an expert fire lighter and she made sure the flames were going strong so she could invite her friends over for some outdoor fun. 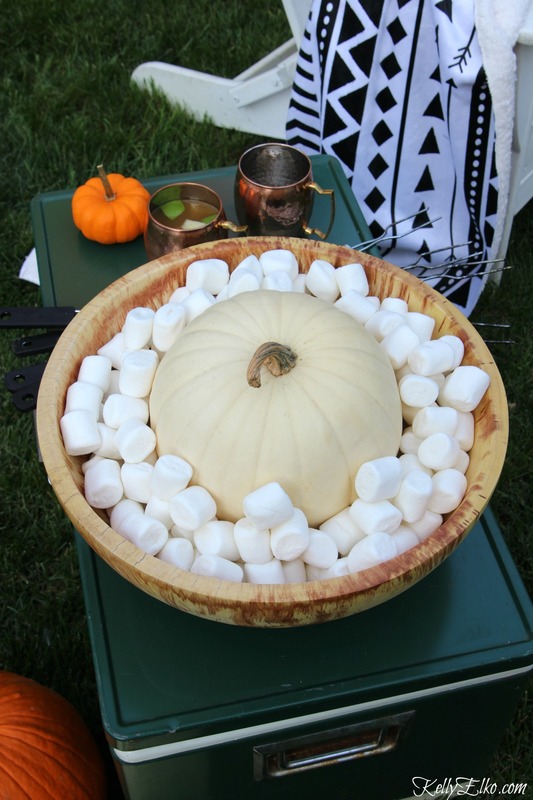 What is a fire pit without a bowl of marshmallows ready to roast. It’s fun to mix colors and patterns in cozy throws and pillows. 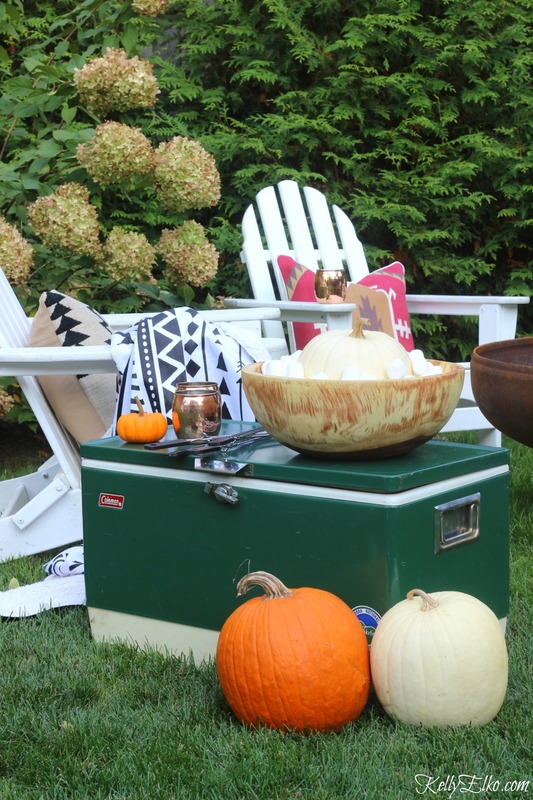 My vintage cooler makes the perfect little table for wood and copper serving pieces. A stack of firewood and kindling is at the ready in an old soda crate when the fire dies down. Everyone has been fighting over the throws – they are so amazingly soft and comfortable. 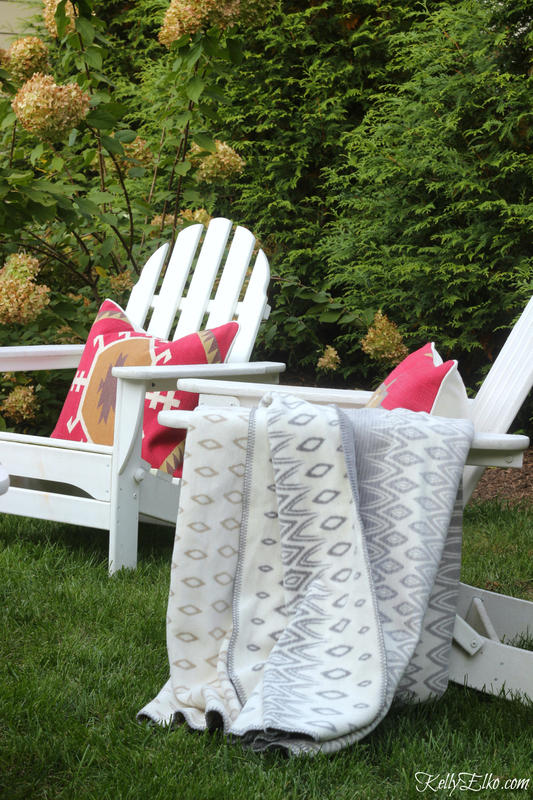 I love the way a pillow or a throw can make a basic adirondack chair so inviting. 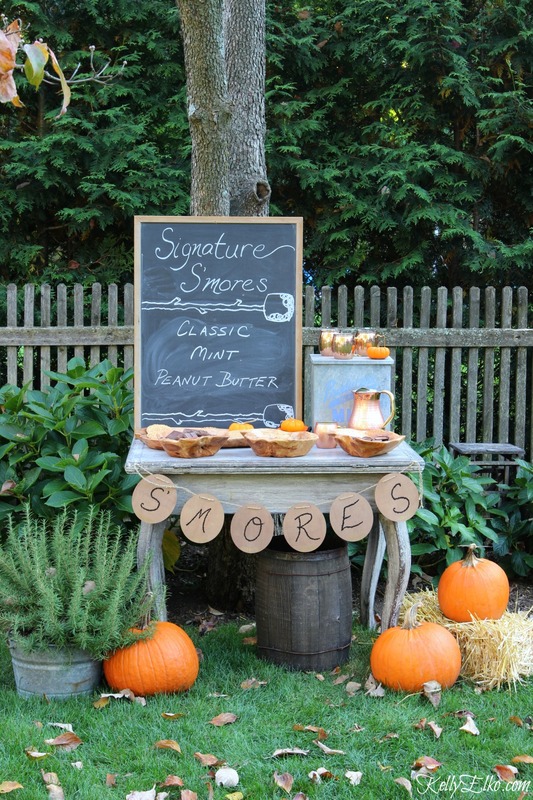 An old table makes the perfect s’more station set with natural root wood with lots of cookie and candy choices. 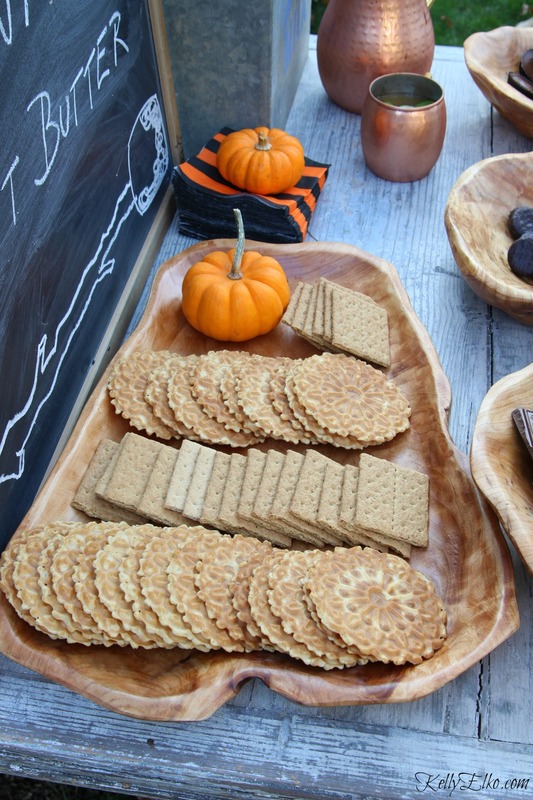 Graham crackers get a fun alternative with pizzelle cookies on a wood platter. 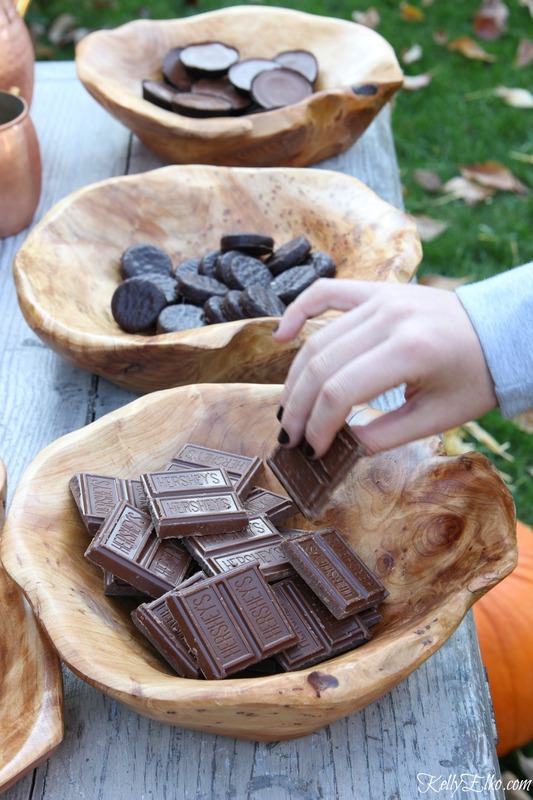 Traditionalists can grab a bar of chocolate or mix it up with Peppermint Patties or Reese’s Cups set out in a trio of root wood bowls. 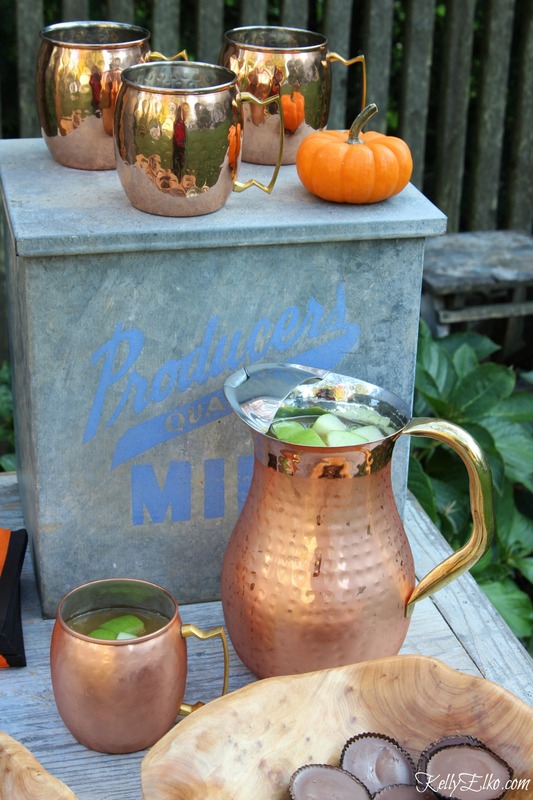 I absolutely love these copper Moscow Mule mugs and pitcher – perfect for apple cider. Sushi stands guard over the marshmallows. Here’s to the smell of burning wood and toasted marshmallows. Thanks Heidi – come on over for a s’more! Looks so yummy and cozy and as away Sushi is so cute! Makes me wanna try some reeses smores. They are my favorite candy. Thanks for the fabulous idea! Enjoy. I never met a piece of chocolate I didn’t like – I’m partial to the Peppermint Patties! kelly!!!!!! this is amazing! it looks beautiful, your photos are stunning, and i want to come have smores and fight over those throws! I’ll save the hard cider for you! Love your backyard! 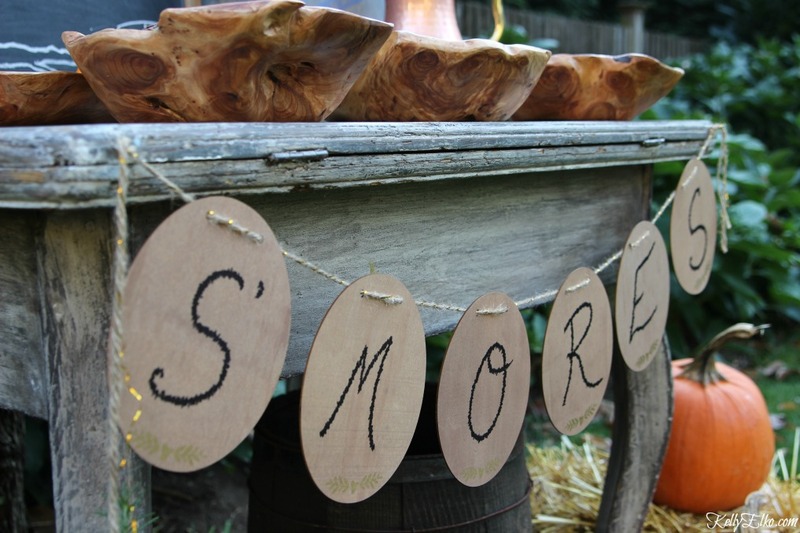 !…and the Smores Bar is the best!!! Thank you Shirley – I am saving a spot for you by the fire! Do you prefer chocolate, mint of peanut butter? Your backyard is very inviting. Love the simplicity, but yet very creative. 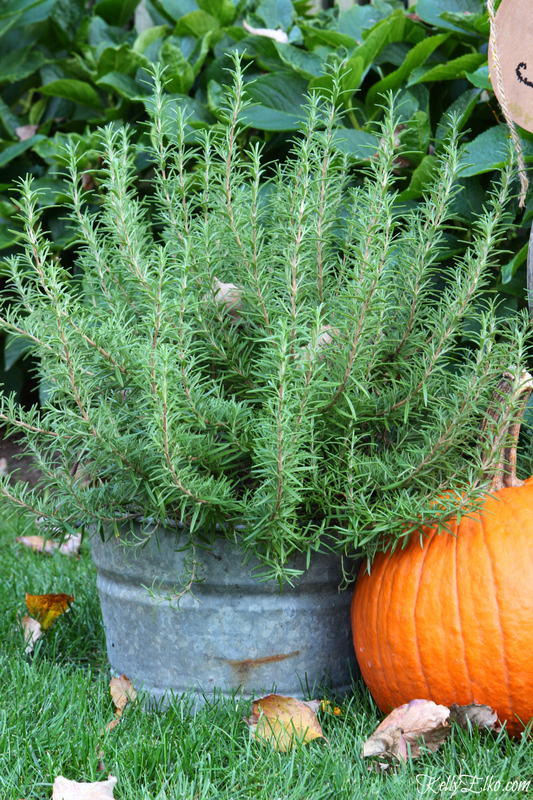 Thanks you Susan – happy fall! 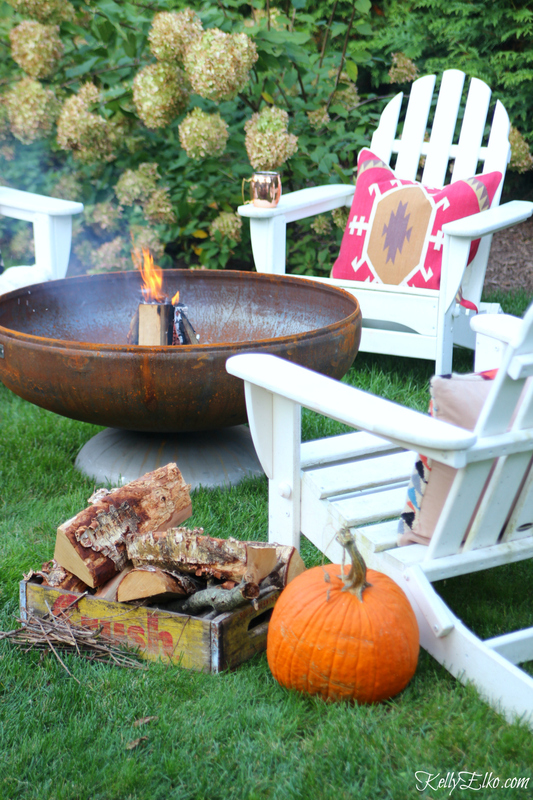 Love your new fire pit and those copper mugs! A friend recently served me a delicious Moscow Mule in a copper mug and she said the copper mug is a must with this cocktail 😉 Cheers to Fall!! Yes they are the perfect Moscow Mule mugs – but also perfect for any other drink I can think up! Cheers Laura! This is all so fun, Kelly! 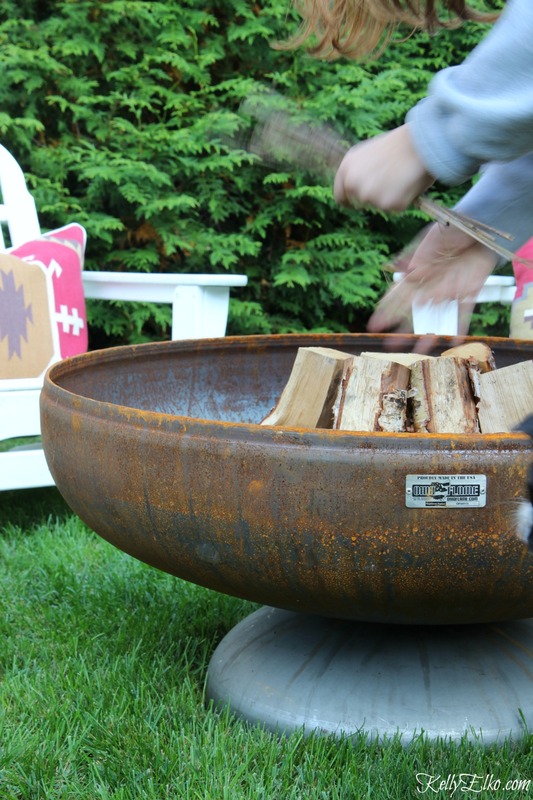 I love your new firepit…such a great look! 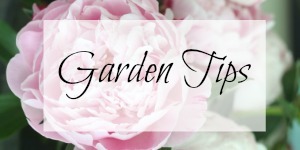 All of your wonderful details make an outdoor space that looks very special! 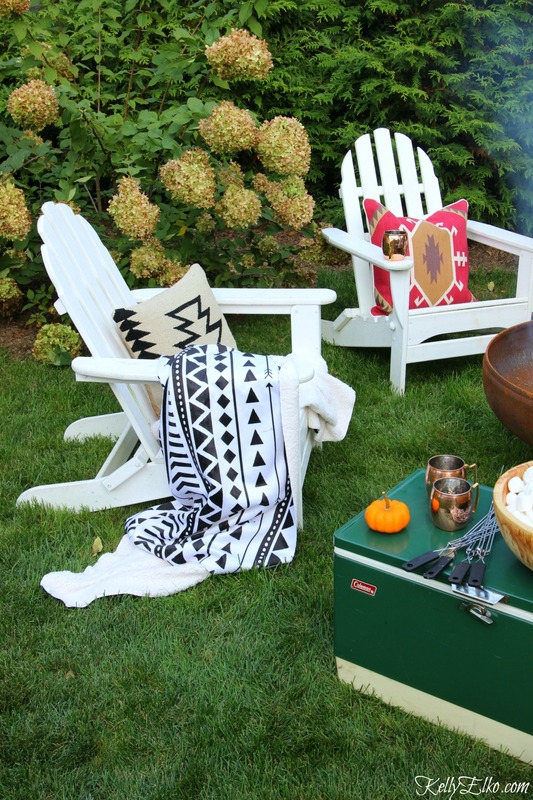 Who wouldn’t want to make s’mores out there? I am inspired to put a little more effort into our fire time now, too! Thanks for sharing! I’m so glad Linda – it really does make all the difference in wanting to actually sit out there just by adding a few fun accessories! I love Bosnians. . I just bet he stands guard.! 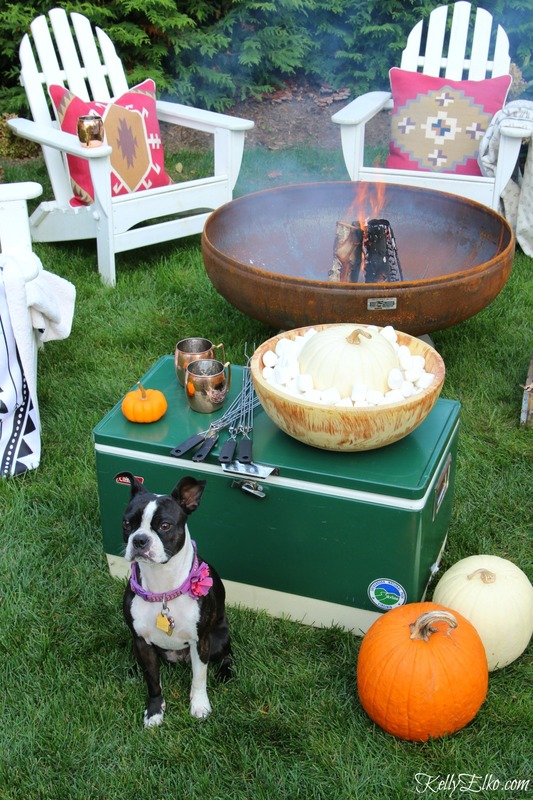 She is the perfect watch dog … for marshmallows! You have me wanting a fire pit, now! 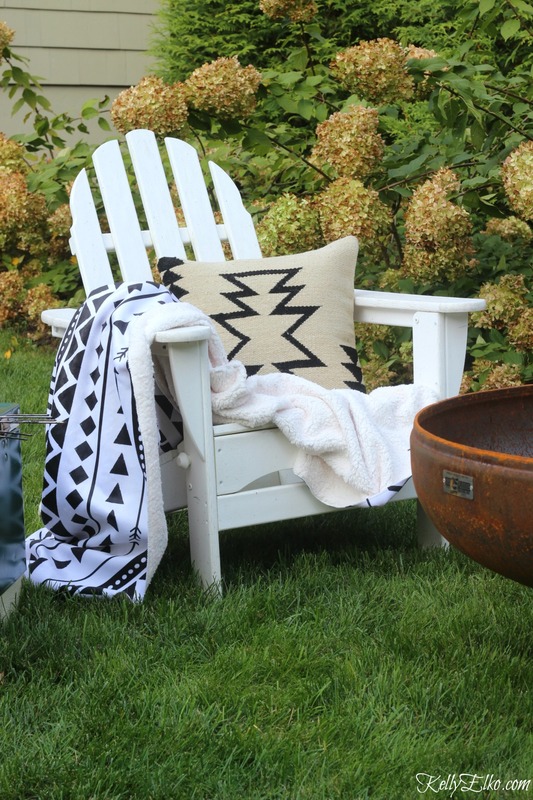 Love the way you have it set up with the adirondack chairs and pillows…perfect! Thank you – it really is the place to hang out in the yard! Looks great, makes me hungry for some s’mores and definitely cozy. Thanks! Saving a s’more for you Marlene! The cool air and the colorful leaves even those carpeting the ground! Love everything shown especially Sushi!! Happy Fall!! 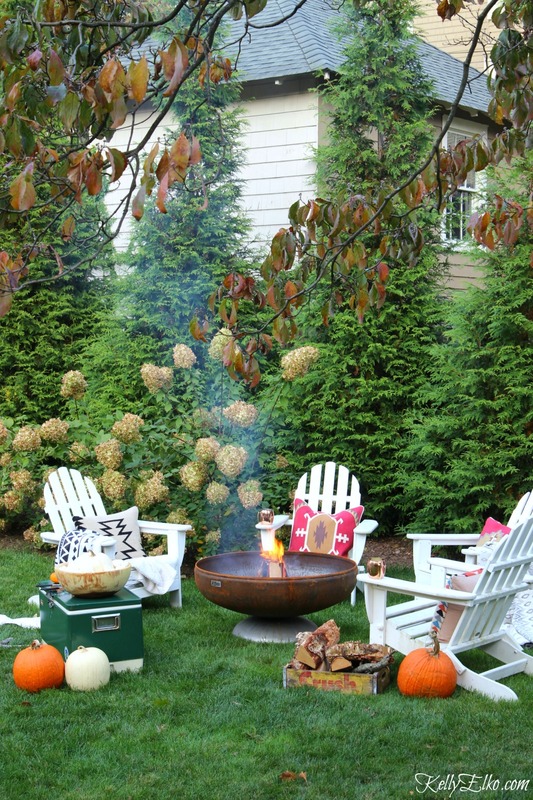 Super cute backyard set up and I have never thought about using peppermint patties or peanut butter cups for smores. Great ideas! 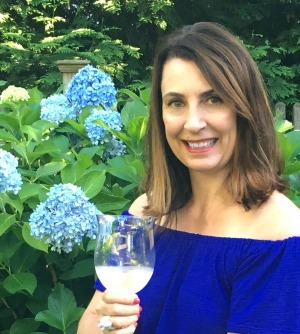 Thank you Kim – saving a peppermint pattie s’more for you! Your yard looks great! Kelly, you should feel SO proud. Space is a dream! I can’t wait for the other posts you have planned. You and Emmett rock! I also love hanging out in the backyard. There is Too much fun in hanging out backyard. Thanks for your article. That is really pleasant to me. Have a good day. Gorgeous…! Your gardens are so beautiful. I like your decoration tips and ideas. You have used a very good pice of furniture. I am full of inspired now. This is very easy to make. Love your post. Good job.